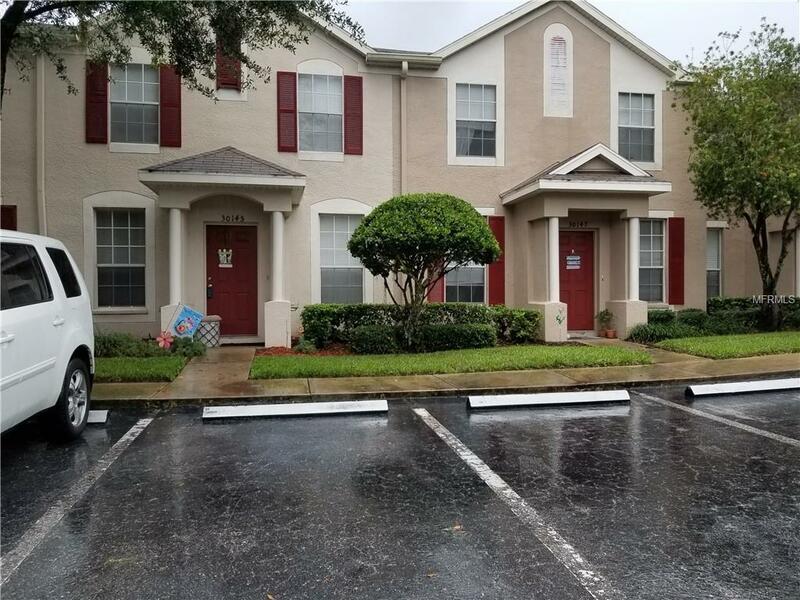 This beautiful townhome in the gated section of Sedgwick in the Meadow Pointe II community, features 3 bedrooms, 2.5 baths, formal living, and dining rooms, family room, updated kitchen, and bathrooms. The kitchen was totally updated in 2016 and now features custom cabinets, soft close drawers, under counter lighting, all SS appliances, granite countertops, you even have a Susan and closet pantry for storage. Your home has conservation and pond views on your extended, covered lanai, which also has brick pavers. Upstairs youll find the 3 bedrooms and 2 full baths, which have been updated with new lighting and fixtures. The master bedroom includes a large walk-in closet. The A/C was replaced new in 2014. The home does come with 2 assigned parking spaces as well as visitor spots for your guests. The home is zoned for highly rated Wiregrass High School as well as Wiregrass Elementary. Your HOA and CDD fees do cover lawn care, trash removal and access to all the amenities of Meadow Pointe II and MPII which has a large resort style pool, fitness center, playground with several shaded awnings, 3 tennis courts, and 2 basketball courts. A new roof is being installed and exterior paint this year by the HOA. New washer and dryer. Additional Lease Restrictions Buyer To Verify With Hoa Rental Restrictions And Lease Period Requirements if Any.